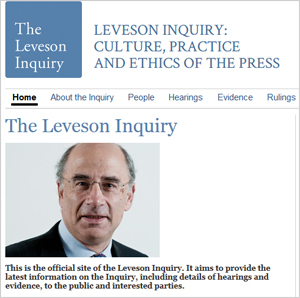 Is the Leveson Inquiry the first time a British government has intruded on press freedom in 300 years? Last week on the Today programme I heard a senior figure from the Murdoch stable declare that the press regulations proposed in the wake of the Leveson inquiry threaten 300 hundred years of press freedom. This claim – that Leveson represents the first time a British government has intruded on press freedom – is often made. And it is never challenged, which can only led us to assume it must be true. Well, not exactly. The rise of British newspapers during the first half of the 19th century was a veritable battleground between politicians and journalists. It was a time when a host of new titles – such as the Poor Man’s Guardian, the Black Dwarf and Reynold’s News – championed the rights of an emerging working class, petitioned for democratic reform and challenged privilege. Successive governments of the day, far from welcoming this new popular press, did their best to stamp it out. They introduced draconian stamp duty and a series of what became known as ‘taxes on knowledge’ , designed to keep newspaper readership within the confines of a privileged minority. Unable to afford these duties, newspapers printed their own stamps – most famously, the Poor Man’s Guardian substituted the official stamp with the phrase ‘knowledge is power’. The government responded by throwing editors in jail for sedition (including Henry Hetherington of the Poor Man’s Guardian). Indeed, some papers had one editor after another imprisoned for refusing to tow the line. Hardly an era of press freedom. The Sun newspaper recently invoked the spirit of Winston Churchill as a champion of the free press. Stirring stuff, except that Winston Churchill was, in fact, responsible for closing down newspapers he didn’t like (in this case, the Daily Worker). His attempts to close down the Daily Mirror – who backed the war effort but not the class divisions entrenched within it – ultimately failed, though not for want of trying (he was later forced to relinquish the ban on the Daily Worker). Was this part of the 300 years of press freedom, or just a memory lapse? And what about journalistic freedom more generally? During the 1926 General Strike, the Government only tolerated the independence of the BBC if it towed the government line (against the strike). Churchill (yes, him again) wanted to commandeer the BBC and turn it into a government mouthpiece. Instead, the government simply vetoed editorial policy: both the Leader of the Opposition and the Archbishop of Canterbury were refused requests to appear during the strike. More recently, when the Thatcher administration banned broadcasters from speaking to Sinn Fein and the IRA in the 1980s, this government interference in news reporting was, surely, fiercely resisted by the newspapers now championing press freedom? Except that it wasn’t. On the contrary, some of the papers now most vehement in their opposition to regulation backed the broadcast ban to the hilt. So, the next time you hear about our unblemished history of press freedom, ask yourself this question. Is the speaker merely misinformed, or is this a cynical ploy by someone who cares less about the real meaning of press freedom than protecting their own (rather than the public) self-interest? ← China, the USA and ‘Soft Power’.